Luck is a big part of Survivor. The castaways from Survivor: Cambodia – Second Chance know this all too well–this is their second time playing, after all. Even if someone is great at challenges, a master manipulator or has a perfect social game, it might not be enough. A person needs a fair amount of luck to win and make it past each Tribal Council. At any point throughout the game, the plans can change and the players are placed in a situation they can’t come back from. Sometimes it’s not just the game plans that work against them–it can be the tribe they’re placed in. 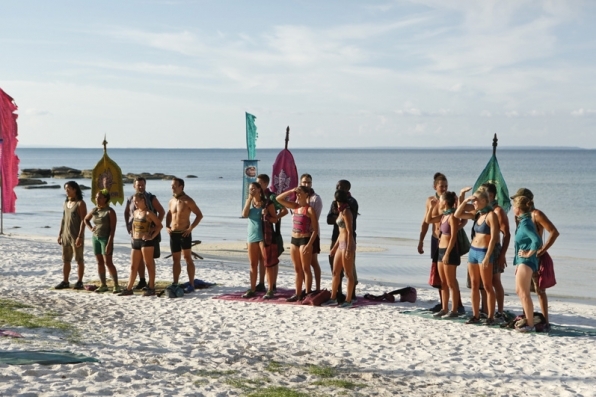 During last week’s episode of Survivor: Cambodia – Second Chance, the castaways were separated into three news tribes. The two original tribes were allowed to head back to their camps with all their previous supplies while the third new tribe, Angkor, started off on a bad foot with nothing except the clothes on their backs. Angkor began this game at the bottom, and for the second week in a row, they continued their string of bad luck. Angkor is proving to be another classic case of an unlucky tribe. It can be the selection of players, the environment or just the tribe itself for the reason behind the bad luck. A losing tribe is a losing tribe. At the beginning of the episode, the tribe came back from Tribal Council after blindsiding Peih-Gee with a surprise vote. With any vote off, their hope is to turn the tide, eliminate the drama (Abi-Maria vs. Peih-Gee), and begin a new chapter toward tribe unity. Unfortunately for them, the next three days wouldn’t be their redemption story. Angkor headed to the reward challenge to prove they had a shot at winning this game. The challenge involved one person from each of the three tribes competing solo to pull out a victory and win a luxury for their tribe. The odds-on-favorites were the Bayon and Ta Keo tribes. However, Andrew Savage and his tribe needed some good news to get back on the right foot. Andrew used the motivation to come from behind and win the challenge; he not only scored essential supplies but increased team morale. Angkor pulled off their first victory. Even with that little glimmer of hope, the tribe continued their roll down the hill. Angkor ultimately lost the immunity challenge and would have to vote out another member. And with only five players left in their tribe, the vote was going to be a close one. It would be the age old debate of pre-existing relationships vs. potential tribe wins. Woo and Jeff Varner became the top two choices for Tribal Council. Jeff suffered a serious accident during the immunity challenge–he would have to use a cane to walk until his leg healed. He did, however, have the relationships from his previous tribe that could protect him for the round. Woo, on the other hand, didn’t have enough alliances but he was a physical player. As shown in his past season, he can dominate challenges and help his team potentially win an upcoming immunity challenge. And with Jeff Varner suffering some pain, the tribe might need the extra bit of help. But who would be the one to go? Jeff couldn’t shake his dire situation. Only three rounds had gone by in Survivor: Cambodia – Second Chance and it was still too early in the game to keep around someone with an injury. The Angkor tribe needs to win immunity challenges or they will be picked off one-by-one. No argument he could make would remove the glaring problem that would show up every challenge: His swollen leg. He showed great promise, but one wrong move at a challenge ruined it all. His luck ran out when the building block fell on his leg! Another highlight of the episode is Abi-Maria’s sudden rise to power. The dramatic spitfire had the tribe spinning with her indecision about voting out Jeff and wanting Woo to go instead. Even though they already had the votes to keep Woo, Tasha and Andrew were bending to her will and trying to convince her otherwise. They recognize her usefulness of an extra vote and they don’t want her to jump ship when the time comes. Abi-Maria is another player who uses the opportunity to her advantage, even if she doesn’t realize it. Her temper could get her voted out early or it will keep her around later in the season as the perfect person to sit beside at the end. The game is all about luck. What you’re doing, whom you’re talking to, and which alliances you’re making. 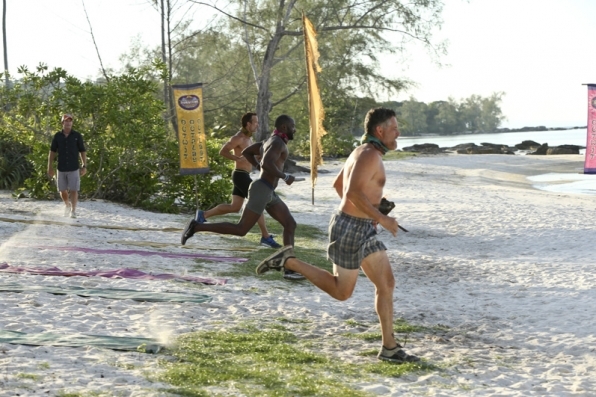 This episode of Survivor showed that some people, and some tribes, have more to do to shake off their bad start. Will Angkor prove viewers wrong next episode? Only time (and the right challenge) will tell. Previous ArticleTV Review: Arrow 4x02 "The Candidate"